Siwertell, part of Cargotec, recently secured a road-mobile unloader order from Medcem Global Pazarlama AS, in Turkey. This is the third order of its kind received from the operator in eighteen months. The order was booked into Cargotec's fourth quarter 2014 order intake. "This new contract demonstrates the undisputable reputation of Siwertell mobile unloaders," says Jörgen Ojeda, Sales Director, Mobile Unloaders, Siwertell. "It is also another example of the growing number of repeat orders from customers that have experienced the advantages of operating these units." Mr Koray Kandemir, Director of Projects for Medcem Global said: "We are planning and processing cement terminal projects in various countries, therefore, to get maximum benefit, we have to be very careful when choosing project equipment. Siwertell mobile unloaders provide the ability to operate in different ports, which is an important condition for our business. Factors including the efficient unloading capacity, low maintenance costs and technically well-designed system influenced our decision to buy a third screw-conveyor mobile unloader." The company adds that because it has global operations, it is important to implement standardisation in all its plants. "We are glad to cooperate with Siwertell. It secures our unloading operation with stable equipment and a skilled technical support team." 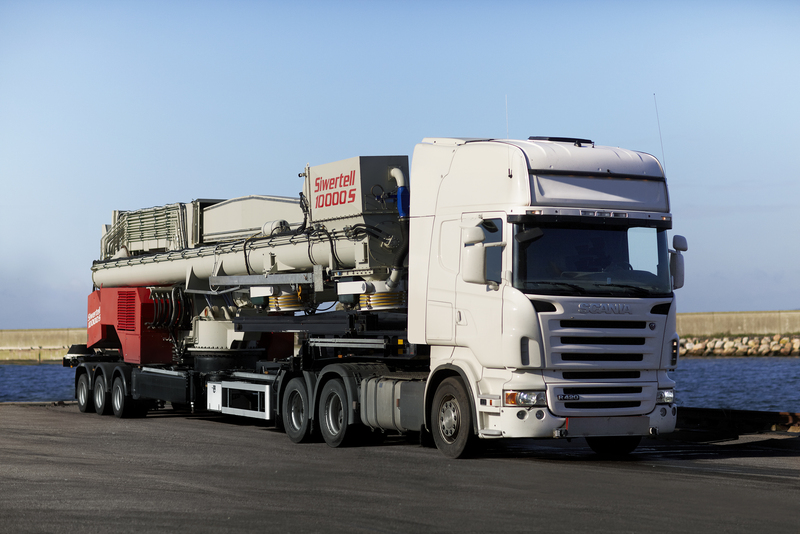 In common with the two previous deliveries, the new 10 000 S, trailer-based, diesel-powered Siwertell unloader will be used to discharge cement at a rated capacity of 300t/h. It will be fitted with a dust filter and double bellows system for uninterrupted loading of trucks or rail wagons. Originally developed for cement, the road-mobile Siwertell unloader is one of the most reliable, eco-friendly and sustainable systems available for cement operations available. So far, more than 110 units have been delivered worldwide.